FREE delivery up to 250 km from it’s location in Ballarat. 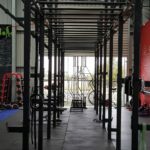 Crossfit Rig. 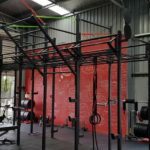 Fantastic opportunity to get your hands on a brilliant 6 Squat Rack Crossfit Rig. May not last too long at this price with the added bonus of free delivery up to 250 km from it’s location in Ballarat. Best be super quick to secure this bargain buy! 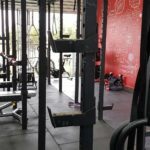 6 squat rack crossfit rig. Chin up bars all round. 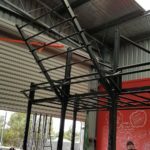 Custom monkey Bars down the centre. 2 x Wall Ball targets. 1 x Chin up ladder. 6 pairs of X-large J Hooks. 2 x pairs of spotting arms. 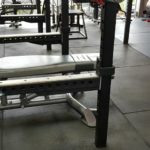 Buy 6 Squat Rack Crossfit Rig online. 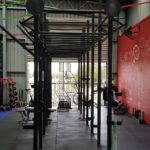 If you are interested in the 6 Squat Rack Crossfit Rig for sale, feel free to enquire above.